Dickinson biology faculty members represent all the major areas of biological research from field ecology to molecular genetics. All have active research programs, and all are strongly committed to student-faculty research so that undergraduates regularly assist in labs and collaborate on publications and conference presentations. Faculty research specialties include molecular genetics, cell biology, plant biology, animal physiology, evolution and ecology, neuroscience and the expanding field of bioinformatics. Biology is one of the largest majors at Dickinson. Cell and molecular biology, ecology, physiology, chemical ecology, neurobiology, development, microbiology and marine biology are particular strengths, and a new emphasis is on the fast-growing field of bioinformatics and genomics. Class sizes are small and typically include a lab or field component. Our faculty design and teach their own lab sections around projects that develop technical expertise and skill in hypothesis testing. All biology majors complete a research experience that gives a step up in graduate and medical school admissions and future careers. Working alongside our faculty researchers or at partner institutions, students gain a personal perspective on science research. Many of these experiences lead to student presentations at professional meetings or to authorship of scientific publications. An active internship program puts students in hospitals, labs, museums, agencies and businesses related to biology. A large fraction of Dickinson biology students include study abroad as a valuable part of the major. Write or visit us! You're always welcome to drop in to a lab or seminar. We also encourage you to check out our related programs in neuroscience, biochemistry & molecular biology and environmental science. When we think about animals capable of complex brain functions, snakes may not come to mind. However, a student-faculty research team at Dickinson proved otherwise. 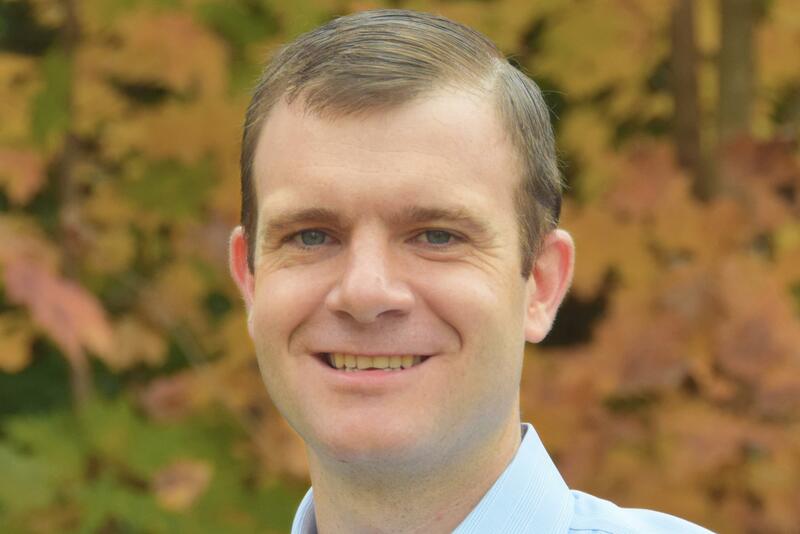 Ben Tiede ’05, former double-major in biology and biochemistry & molecular biology, tackles the issues of global health, public policy and advocacy at Johnson & Johnson. 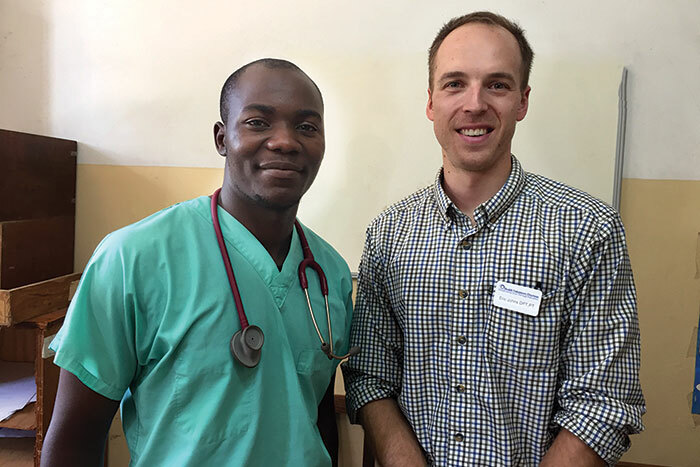 Eric Johns ’09, a physical therapist for Good Shepherd Penn Partners and Moss Rehab and a teaching assistant at Drexel University, discusses an eye-opening trip to Malawi in October 2017. 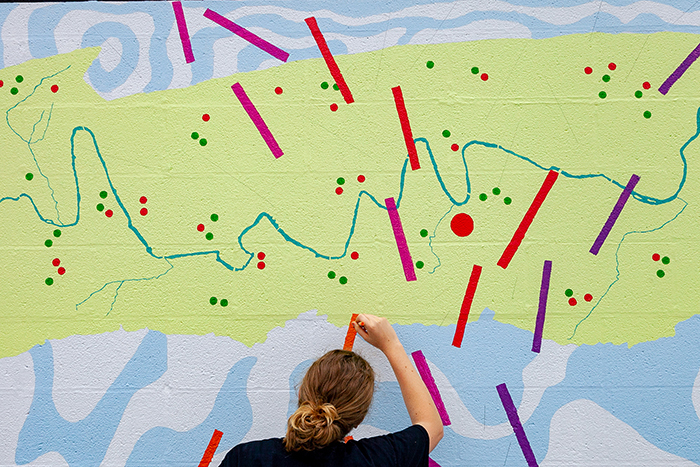 See time-lapse video and learn the story behind a mural painted by students studying art, biology and sustainability to present scientific data on local bird species and the Conodoguinet Creek.